Long-running German electronic duo Modeselektor are still extremely active, putting out a steady stream of new music from their 50Weapons and Monkeytown Records imprints, as well as preparing their next collaboration with Apparat as Moderat. Showing off a bit of their history, they will be the subject of a new documentary. 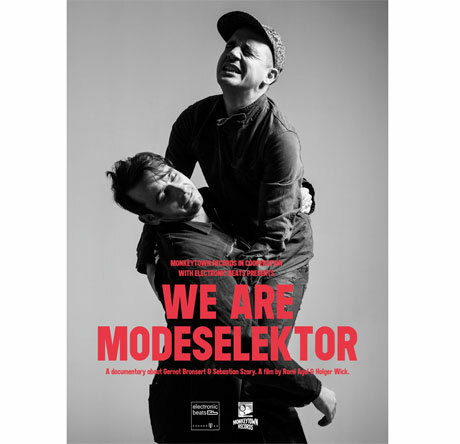 Simply called We Are Modeselektor, the 72-minute film was made by Holger Wick and Romi Agel. According to a press release, it's "a post-German reunification movie, a travel report, and a portrait of the special friendship between Gernot Bronsert and Sebastian Szary all in one." In addition to interviews with both members of Modeselektor, the film also includes contributions from frequent collaborators Apparat and Ellen Allien. We Are Modeselektor will be available on DVD and Blu-ray via Monkeytown Records on May 3. A trailer for the film is available below.